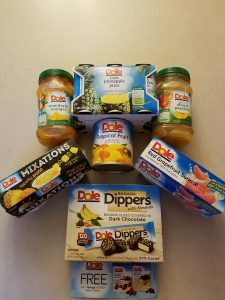 Every Saturday Dole hosts a #DoleSwagSaturday giveaway on Facebook (linked directly to their page). 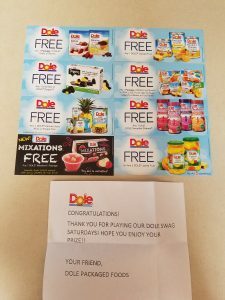 Each Saturday is a different swag item and I was lucky enough to snag an envelope filled with coupons. Have you heard of all of their products? A few of these were brand new to me.